Many people don’t really think of rugs as enhancing their flooring surface. They are traditionally known as investment items, as in the choice of Persian carpets, which are often hung on the wall, or even more often, placed over damaged floors or old carpets. Well, it’s really all about matching the right rugs to the right floors. Texture, design and colour all play a major part and when done the right way, take it from us,a great rug can enhance any floor! We thought it would be a good idea to give a little advice on this, but there are a number of floor types, so we thought we would split this into a 2 part series. This is the one that surprises most people, as they think of a carpet as being very similar to a rug, so why place a rug over it – apart from just using it as a cover up? Well, the decorative value of a rug is also important and a splash of colour or the differing texture of a rug over a carpet can turn a plain room into one that really makes a statement! Rugs on carpets are particularly popular in living rooms for colour and bedrooms for added comfort. Whether in the Living room or bedroom though, match the textures of the rug and the carpet. If your carpet has a thick pile you should steer away from a thick or fluffy rug, rather use a cut pile or flat weave rug, but that shaggy rug could make a room with a thin carpet much cosier. As a rule of thumb, choose colours that don’t depart too much from your primary carpet colour, unless as aforementioned, you really want to make that bold statement! Laminated flooring is a more recent addition to flooring offerings and is now massively popular. One criticism though is that it can be a bit cold, both in look and feel and of course the use of well-placed rugs can go a long way to changing that! To get a warming effect in your room, it’s a good idea to go for a thick style such as a tufted rug or a carved-pile rug. These are soft underfoot, but also good thermal insulators. Also highly recommended are Jute rugs, great to use on a laminated floors as long as you use an anti-slip underlay. 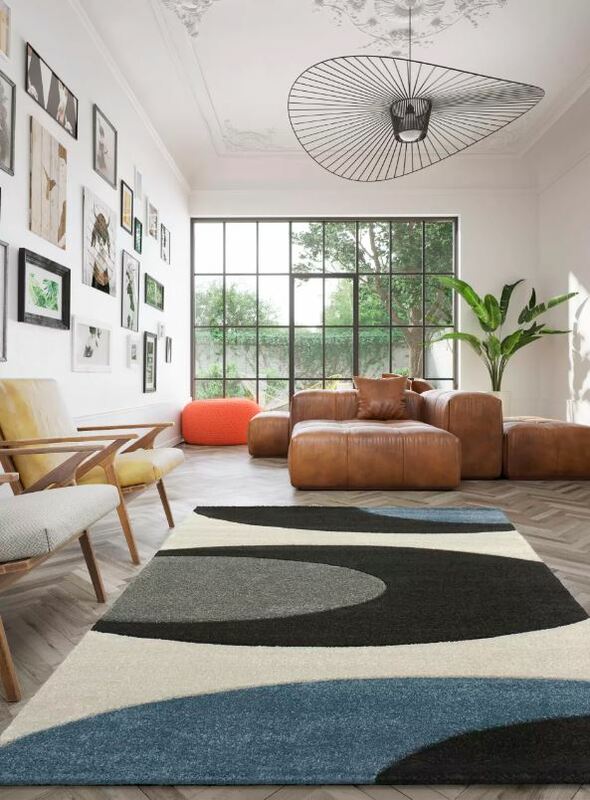 Despite being soft, these rugs aren’t thick and fluffy and not designed to make the room cosy, but rather provide a functional feature that just looks fantastic with a laminated floor. Colour wise it’s suggested you inject a burst of colour into your room with a rug that totally contrasts with your flooring colour. This can make a laminated floor way more attractive than it already is! As an additional thought – Stone and Vinyl flooring used for wet areas, like kitchens and bathrooms, can also have a type of matching rug. Thin cotton, quite cheap dhurrie rugs are ideal for such places and can be replaced regularly. Watch this space for the second part of this 2 part series on great rugs that can enhance any floor, when we look at rugs for stone, hardwood and tiled floors. Remember that we at Libra Flooring provide not only a wide range of rugs, but a massive range of flooring in general, including the carpets and laminated flooring as mentioned in this article. Check out our website and why not contact us for more advice and arrange to view our impressive range of flooring options. For fitting, quality of products and superior service, come and find out why we are South Africa’s leading flooring company!